Pick up fresh 8 ounce Lobster Tails ($12.49 each) or King Crab Legs ($29.49 per lb.) 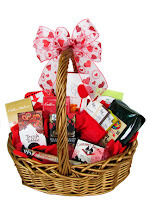 from City Fresh Market and surprise your honey with a romantic stay-at-home dinner. Other Valentine’s specials include 1.5 lb. Live Lobster, $10.99 each; Sea Wet Scallops, $13.49 per lb. ; and Blue Diamond Shrimp, $20.99 per lb. City Fresh Market is a European market with a focus on fresh poultry, fish and grass-fed beef raised without antibiotics or hormones. City Fresh also offers a variety of other meats, fruits, vegetables, cheese and meat pies, fresh-squeezed orange juice and a selection of grocery items including olive oils, vinegars, salad dressings and more. Contact City Fresh Market at (312) 575-0230 for more specials.